There's lots of interesting data in there, which Janos put into a CSV file over here. I thought that was really cool, and took the data for a spin in a Google Sheet, and then modified it a little bit from there. Which I have now made available as an import script and a graphgist over here. 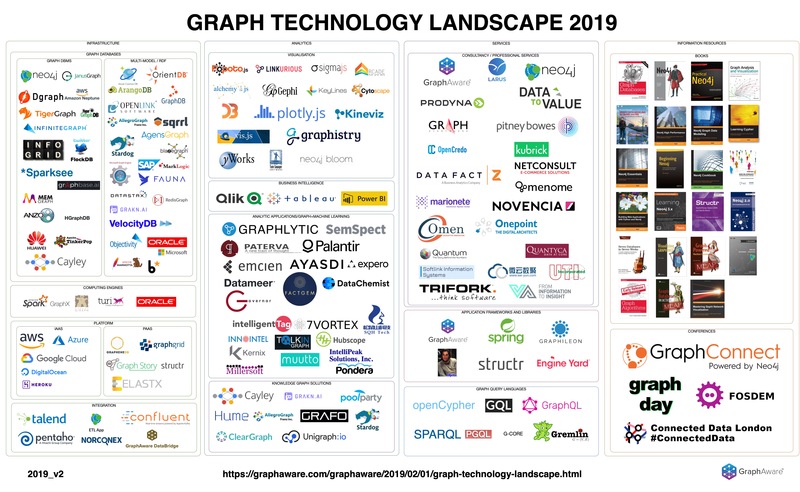 You can explore the data in the deployed graphgist yourself, and figure out some of the hidden and not-so-hidden connections in the Graph Technology Landscape. Hope you will have as much fun with this as I had.